How can you use biohacking technology to upgrade your mind and body, your cognitive and physical performance? 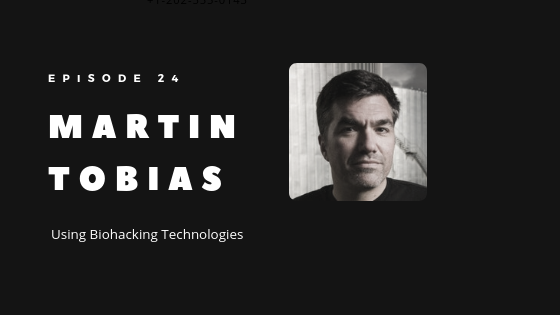 And how did a poker game, along with an interest in biohacking and meditation, lead to Martin Tobias becoming the CEO of both Bulletproof Labs and Upgrade Labs? Find out the answers to these questions, and more, in this podcast episode with Dave Korsunsky of Heads Up Health as he talks to Martin Tobias about Bulletproof and Upgrade Labs and what they offer to the biohacking community. Listen in to see how your health and life can improve by tracking and having accountability for your own health, even if you’re not anywhere near one of these state-of-the-art biohacking facilities. And whether you want to improve your workouts, lower inflammation, heal from injury, or just improve brain health, Bulletproof Labs and Upgrade Labs are leading the way. Having a professional background and mind for data, Martin realized that there had to be a way to connect quantifiable health data to different inputs and find what works for individuals who want to make big gains in shorter amounts of time, a path that led him to Dave Asprey, Founder of Bulletproof Labs. Find out more about Martin Tobias on his blog, Instagram, and Twitter. Follow Upgrade Labs on Instagram here. This podcast is brought to you by Heads Up Health, a web app designed to help you centrally track all of your vital health data. Instantly synchronize your medical records, connect your favorite health devices like the Oura ring, Elite HRV, and Cronometer apps and use your data to optimize your health!